If you missed out on our SOLD OUT Inaugural Faculty Movie Night in May don’t let our SECOND movie night slip past you. 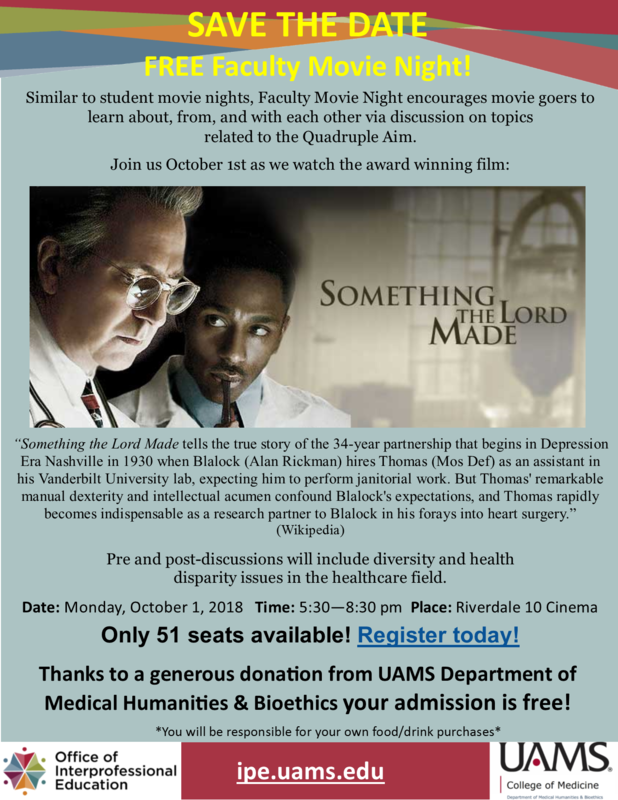 Thanks to a generous donation from the Department of Medical Humanities and Bioethics, we are able to reserve a larger theater room at the Riverdale 10. Your admission is FREE but seats will fill up fast! An interprofessional pre/post discussion will be held regarding diversity and health disparity issues in the healthcare field. Register today and reserve your seat (feel free to register a guest! ).